In the bottom right corner of every page in the Meraki Dashboard, there is a very powerful little blank box. Within lies the power for customers to send new feature requests directly to our product managers and engineers. The “Make a Wish” feature has proved to be a popular outlet for Cisco Meraki users, allowing anyone with a dashboard account to submit ideas for product improvements. Users are able to type in their response to the prompt “I wish this page would…,” giving Meraki developers insight into what changes could add value to the end customer experience. We have always taken customer feedback very seriously, and recently made enhancements to the wish box to allow for more detailed submissions. Follow along as we make a wish to see what’s new. 1. The “Make a wish” box is located at the bottom of every page in dashboard. 2. When you start typing, a prompt box appears with plenty of space for a thorough explanation of your wish. Based on the words you enter, suggestions for relevant Knowledge Base articles will pop up. Check out the proposed link, perhaps your wish has already been granted! You can choose either to submit your wish as is, or, you can now also pinpoint areas of the current page that relate to your entry with the “Highlight Page” tool. 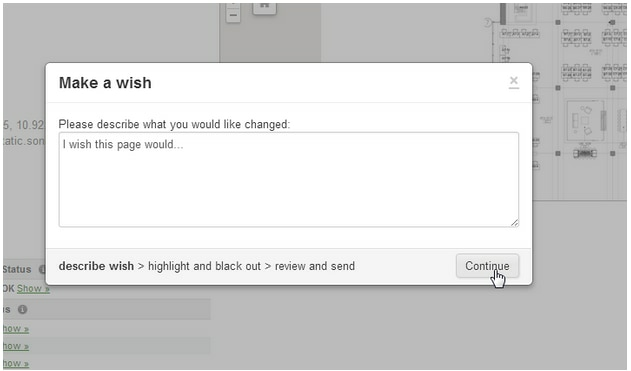 After reviewing your text, continue on to the new highlight/black-out functionality. With this new feature, you can black-out information that you deem sensitive and highlight sections that relate to your feature request. Here, we have blocked out certain client names, and highlighted the current client traffic. After clicking “Review,” a summary of your wish appears so you can ensure that it accurately reflects your true intention. After making any last-minute edits, the time has come to send in the wish. 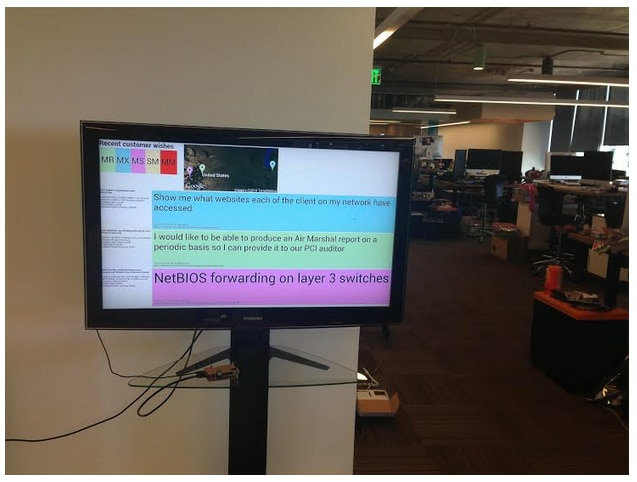 Incoming customer wishes are automatically emailed to every engineer on our development team and also put on display in our engineering area, ensuring that we are always thinking about our customers’ requests as we move forward. “The impetus for the improvement came from a need to more quickly and completely understand customer needs. We’re getting thousands of wishes per month now, and engineers wanted to make sure that we could differentiate wish specifics and truly understand what customers were asking for. Otherwise we risked too quickly identifying patterns among similar but fundamentally different wishes. Try it out for yourself! Get your dreams out of the clouds and onto our radar (and then, perhaps, back into the Cloud). Custom Apple Profiles Just Got a Whole Lot Better!